Lipid rafts are nanometer-sized subdomains of the plasma membrane containing higher concentrations of cholesterol, phosphatidylinositols, and sphingolipids. 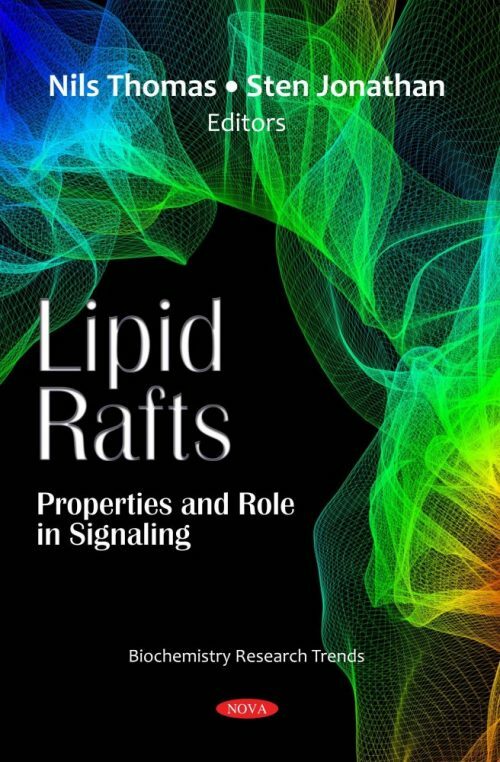 In Lipid Rafts: Properties and Role in Signaling, the authors summarize their observations that receptor preassembly is required for biological function; the interaction between receptor chains requires both the presence of Jak1 and their co-nanolocalization within lipid raft; a sequence-supported structural analysis of Janus kinases that suggests a significant influence of phospholipids on Janus kinase function; and critical observations made by others. The authors go on to discuss the way in which some studies have pointed out the relative contribution of microdomain lipid raft abnormalities to the pathophysiology of cardiovascular disease or cancer, and examples of substances known to affect lateral membrane organization in cells are discussed as potential therapeutics. A mini-review is included which summarizes the present data behind the relevance of lipid raft membrane domains in neuronal survival and death, with a particular emphasis in age-related neurodegenerative diseases. Furthermore, the emerging importance of the lipid matrix in alpha-synuclein protein configurations in synucleopathies will also be discussed. Lastly, the authors attempt to understand the molecular background of low-solubility of neuronal membrane to non-ionic detergent and find that phosphatidylserine prepared from brain showed insolubility to Triton X-100 at 4℃. Additionally, it was found that some lipid-derived molecules increased the solubility of neuronal DRM to non-ionic detergents.